On Tuesday November, 6th. 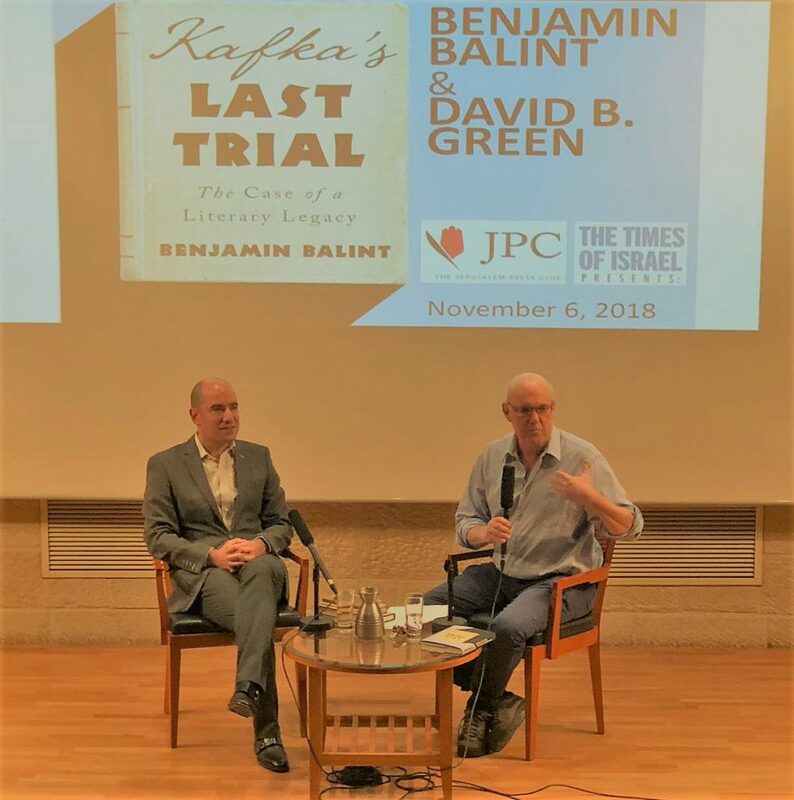 Benjamin Balint, author of Kafka’s Last Trial: The Case of a Literary Legacy, discussed his acclaimed new book with David B. 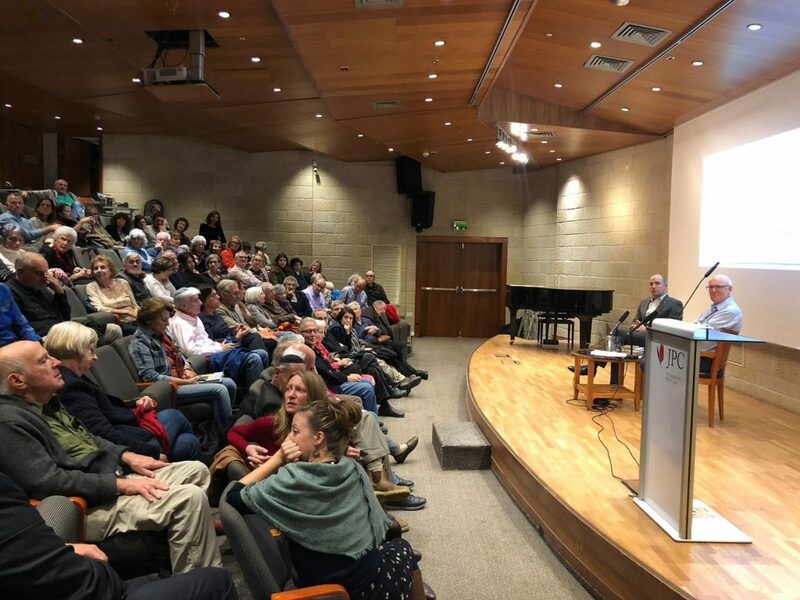 Green of Haaretz English Edition. 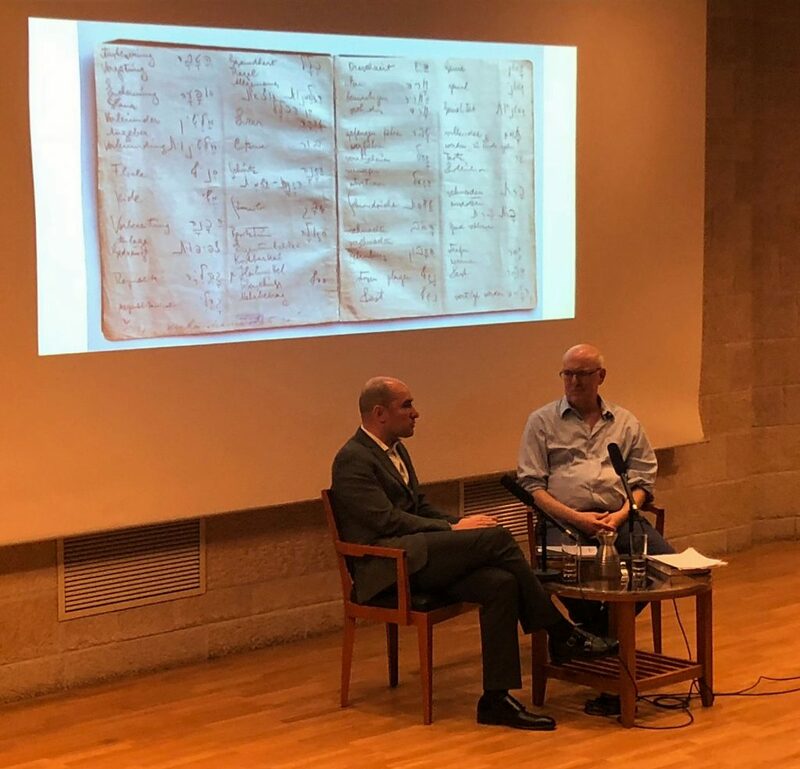 Kafka’s Last Trial is an insider’s account of the Israeli court battle over the manuscripts of Czech-born writer Franz Kafka, considered one of the greatest authors of the Twentieth Century. 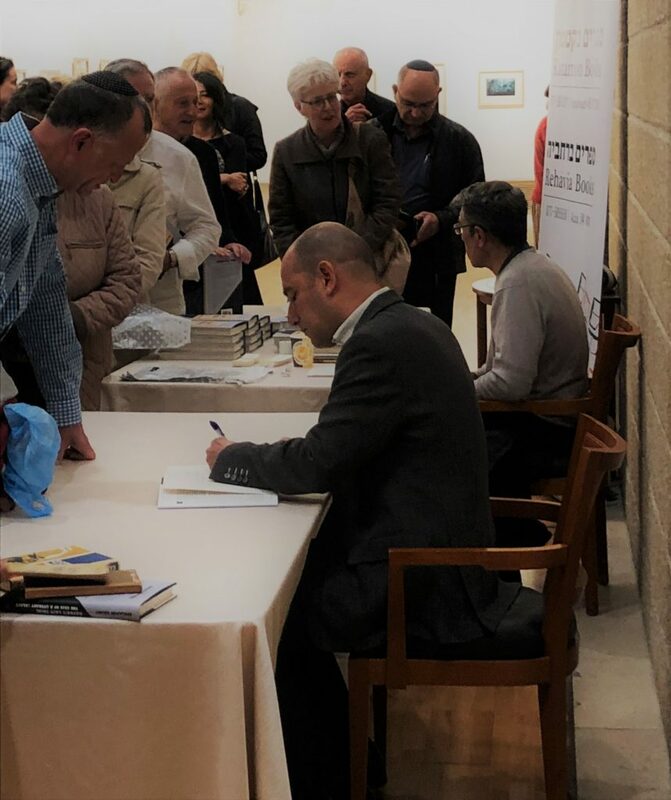 The event was a co-production of The Times of Israel Presents and The Jerusalem Press Club.